You have an article on your site Butterfly Effect - "Active Exhaust Systems' latest electronically-controlled exhaust butterfly..." How can I get more information on this valve and a price for it? Do you know of any electronic products that show intake airflow in cfm, etc? A newspaper appeared last week stating that Davies Craig has won a contract to supply electric water pumps to the manufacturer of the forthcoming Connaught GT coupe in Britain. Apparently, there will be several more production cars with these Davies Craig pumps fitted as OEM due over the next twelve months. BMW already uses an EWP in its 3-litre engines, but Davies Craig believes that it breaches their patents. Are you able to offer us readers a brief rundown on what happened when you tested the EWPs? Surely there must have been some positive points - otherwise why would car manufacturers pursue the R & D into it? 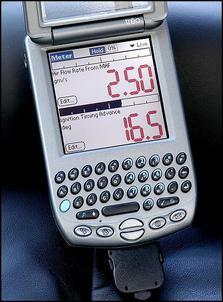 Perhaps see if you can do an article on retro-fitting a BMW unit? We have not had any more experiences with EWPs since our original article in 2000 (Testing the Davies Craig Electric Water Pump - Part 1) and we are unable to present any of our test data. You have gone to some trouble to describe the differences between the imperial fasteners "grades" yet you only mention metric "class" 8.8 steel fasteners. 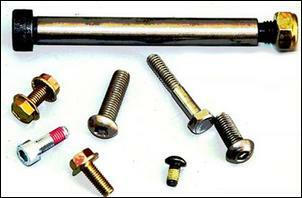 Metric fasteners are generally available in class 4.6 - a lower tensile strength grade. Class 8.8 fasteners are commonly available and are regarded as the lowest grade acceptable for structural applications. Class 10.9 is also available as the high tensile variant. As can be noted from the table in your article, class 8.8 is quite different to imperial grade 8 - the numbers must not be confused in structural applications! It is worth noting that some types of fasteners are only available in certain classes - for example, socket head shoulder screws from quality manufacturers (such as James Glenn and Unbrako) are typically class 10.9 only. Likewise, you didn't identify preferred sizes. I recall in a recent article Julian noted that he was forced to rework because he chose to use M8 x 1.0 rather than M8 x 1.25 fasteners. Technical drawing books such as "Technical Drawing" by A.W. Boundy, or "Technical Drawing - General Principles (as 1100.101-1992)" released by SAI have tables detailing which metric thread sizes are preferred within Australia. In general, unless it is required for engineering or functional purposes, *never* use fine pitch threads as it will be very difficult to obtain fasteners. Sizes that are commonly used in general mechanical engineering include M4 x 0.7, M5 x 0.8, M6 x 1.0, M8 x 1.25, M10 x 1.5, M12 x 1.75, M16 x 2.0. M7, M14 and M18 are generally not used. BTW, if you are not already aware, the best global repository for all information on threads is "Machinery's Handbook". This covers everything from Metric to UNC, UNF, Whitworth, Acme and even Panzer thread information. In All You Need to Know About Nuts & Bolts, the links for the imperial and metric thread gauges point to the same place. I want the metric one, please. Thanks for that - problem now fixed. In use, the scanner lamp throws out a really nice light - it has me itching to raid some second-hand stores in search of more old scanners as I can think of several more things I'd like to make with them. I'm currently thinking a compact portable work light - perfect when working under the dash and there isn’t enough room for the usual oversized auto lamp. The only thing I came across with my lamp that differed from yours was that, when using it with a mains powered DC pack, my light wanted the full 24 volt 500ma supply from the original scanner - anything less gave a very dull light. The power at the wheels is stated as being 570hp. The flywheel figure is quoted as being calculated at 850hp (or even closer to 900hp). Surely, the car would not be losing 280+ horsepower through the drivetrain? The old fashioned auto trans would be responsible for a sizeable percentage power loss but, equally, the car is difficult to run on the chassis dyno due to tyre slippage – so the 280+ hp loss is an estimate based on these factors.